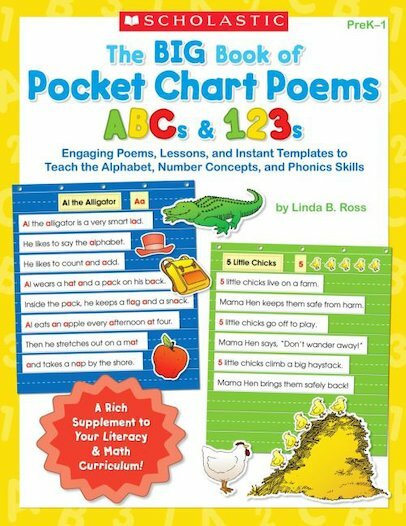 Here are dozens and dozens of literacy-building pocket chart poems and lessons to teach and reinforce the alphabet and the numbers 1 to 30, and to build phonemic awareness, phonics, and decoding skills. Simply copy the rhyming poems onto sentence strips and reproduce the picture cards for lively, interactive activities that are perfect for shared reading, circle time, or any time! For use with Grades PreK–1.